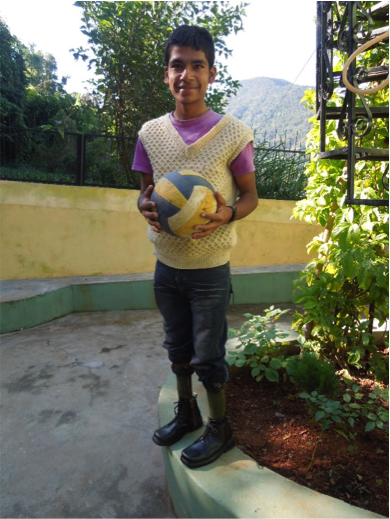 Ramesh can now play with his well-fitting special shoes that have a calliper attached. He was born with both feet facing backwards and surgery corrected them to face forward. The job of the calliper is to help hold the correction to his feet even at night when he must wear these shoes, continually for 3 years. Otherwise the feet will try to twist back into their old position.